The Configuration system consists of two main components, the Configuration service and the Proxy. The configuration service is the main repository for configuration settings and the tool for editing configuration data. This supports Windows Integrated and Azure Ad authentication. Internally the configuration service utilizes a user store for authorization and authentication. The database is an embedded noSql database that is backed up every time the application starts (the database files are locked during use and backup is not allowed). The backup is saved on the server as zip files. These files can be imported into other Stardust Nexus instances. The proxy provides a cache layer for the applications; this can be distributed and scaled independently of the service. Changes made in the configuration service are propagated to the proxies through signalr channels. Changes has to be published from the configuration tool for the signaling to occur. The proxy supports encryption of the cached config files for maximum security. But that makes debugging and troubleshooting harder. 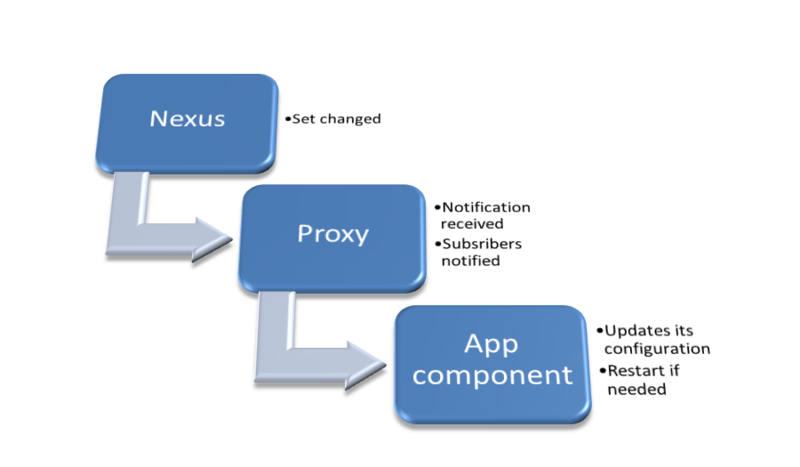 The application components connect to the proxy by utilizing a key/token pair. The token is generated by the Configuration Service. This key/token pair is used to authorize access to the configuration set. 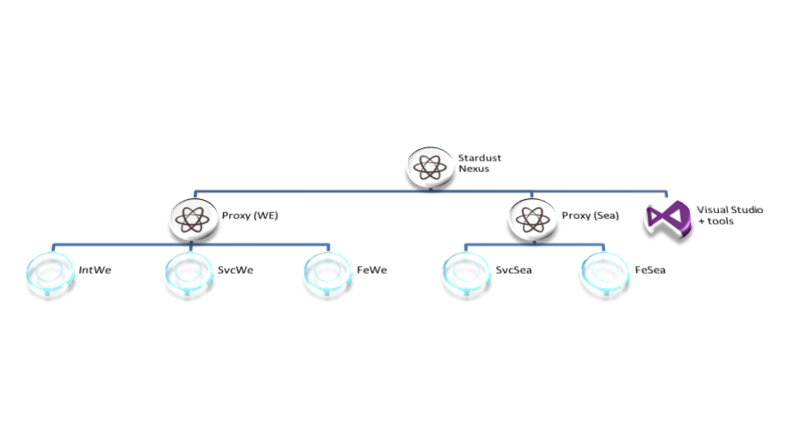 There are 3 token types: config set master token, config set environment token and user tokens. By default only config set environment token is allowed to access the configuration settings. Allowed tokens are configured on each configuration set. Username (NameId), is the user name provided by the authentication system Window internal uses the account name and Azure AD the email address. This cannot be changed after the user is created. SystemAdmin An administrator for the whole configuration system, these users can see and edit all configuration sets and manage users. ConfigAdmin These are users that can edit defined configuration sets. These users has to be added to the configuration set user list explicitly. ConfigReader Accounts with only read access. These are accounts that the applications would use to get the configuration. A config set child inherits all the settings from the parent set. Useful in scenarios where the service rely on shared services provided by the parent. Single signon configuration is also inherited from the parent. Layer names are used in the overview page to label the layers in the generated system documentation. Add the details and assign the host to a layer. For the system documentation to be generated properly the hosts has to be connected. Do this by adding upstream/downstream hosts. This gives us the the following system overview. Define your environments; environments defined on the parent set will pop up with all values inherited. Add and change values as needed. Order one server for the service and one or more for the proxies. configStore Type=embedded;endpoint=http://localhost:8090/brightstar;StoresDirectory=\home\Stardust\ConfigStores;StoreName=configWeb Where to put the database files. stardust.EncryptCacheFiles false Encrypts the files on the proxy server. Makes them unreadable. However passwords and other sensitive info is already encrypted in the configuration data set.